European style home plan in 3500 Square Feet (325 Square Meter) (389 Square Yards) with 5 bedrooms. 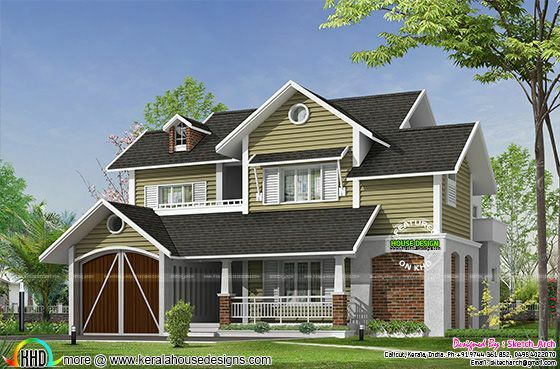 Design provided by Sketch_Arch from Calicut, Kerala. Ground floor area : 2050 sq.ft. First floor area : 1450 sq.ft. Total area : 3500 sq.ft. 0 comments on "Cute European style home"